It’s no secret, Urban Meyer has a dominating football system. So who is he and what’s his system? Urban Meyer was born in 1964 in Toledo, Ohio and moved to Ashtabula, Ohio. He attended St. John’s High School in Ashtabula. He would later play college football for the University of Cincinnati as a defensive back. He spent one season interning as a defensive back coach at Saint Xavier High School in Cincinnati, Ohio in 1985 under the mentorship of legendary St. Xavier head coach Steve Rasso. While there, he met members of the Ohio State coaching staff. Urban Meyer’s dream ever since he was a little kid was to someday be head coach of THE Ohio State university. He always told his wife that she has to be ready to move at any time if one of the “big three” called; Notre Dame, Michigan, and Ohio State. If any one of those schools called with a head coaching job, they would leave instantly. 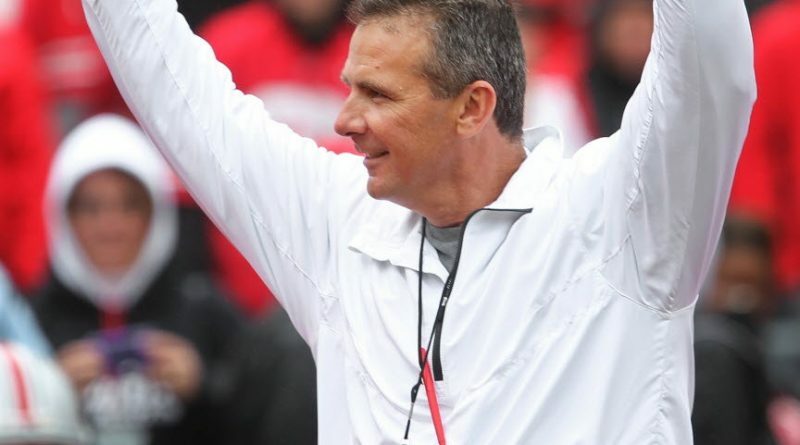 His penultimate dream was to coach Ohio State, but that would not be realized till 2011. His first collegiate coaching position was a two-year stint as a graduate assistant at Ohio State under head coach Earle Bruce. He then spent the next thirteen years as an assistant—two at Illinois State, six at Colorado State, and five at Notre Dame. In 1990, while still the linebacker coach at Illinois State, he called Toledo head coach Nick Saban to see if a position was available on his staff. Saban never returned the call. He later worked at Notre Dame as an assistant coach and that’s when he realized that he needed to develop a new offense. In 2000, when Notre Dame wide receiver David Givens, his star play maker, was crying after the second game of the year, Urban Meyer inquired as to why? It turns out that Givens said that he was crying because he wanted to help his team win, but couldn’t because he didn’t get the ball at all during the game. Notre Dame was ranked fifth overall and lost to number one ranked Nebraska in overtime. Urban realized that something had to change. You can not go an entire game and never put the ball once in your play makers hands. Urban’s mind started churning. This was a revelation to Urban Meyer and sent him on a quest that changed college, and possibly professional, football forever. Urban was still working at Notre Dame with Lou Holtz, but had higher aspirations. He wanted to be a head coach one day and spent most of his time taking notes and planning. This habit started back at Ohio State when he was a graduate assistant with Earle Bruce and continues till today. He took notes in a notebook for when he would be head coach. He knew he wanted to be a head coach one day, and was always planning for that day. Urban spent his free time meeting with legendary spread offense coaches and taking notes to develop his own offense. He traveled around the country and met with Rich Rodriguez, John L. Smith, Joe Tiller, Kevin Wilson, Jim Chaney, Scott Linehan, Randy Walker, Bill Snyder, and many others. He developed his Spread Option Offense based off these notes and would later use them in his first head coaching job at Bowling Green State University. BGSU was the incubator and laboratory for his new offense. Little did he know it would take college football by storm. That’s how the idea of the Spread Option offense was born. See our Spread Option Offense article for more information on his unique offense. Then in 2001, Meyer took his first head coaching job at Bowling Green. In his first season there, he engineered one of the greatest turnarounds in NCAA football history. Bowling Green had only won 2 games the year before Meyer’s arrival and won only 5 games the year before that. Meyer went 8–3 his first year with Bowling Green and capped off the season with a 56–21 victory over Bowling Green’s rival, the University of Toledo Rockets. He also earned Mid-American Conference coach of the year honors. The next year, Bowling Green finished with a 9–3 record and was the first MAC team to beat three nationally ranked BCS teams in one year. Both years, his Bowling Green team was ranked in the top 25, and was ranked as high as 15th overall. Meyer used BGSU as a science experiment to tryout and test his spread option theories, and they worked. But he wasn’t done developing his system just yet. After a 17–6 overall record at BGSU, Meyer left for the University of Utah in 2003, where he and Alex Smith would break NCAA records again. In his first year at Utah, Meyer was named the Mountain West Conference’s Coach of the Year with a 10–2 record, the best ever for a coach’s first season at Utah. He also earned honors as The Sporting News National Coach of the Year, the first Utes coach to do so. They broke offensive scoring records every year. Everyone attributed Meyer’s success to his unique offensive system, which is an offshoot of Bill Walsh’s West Coast Offense, relying on short passing routes. But Meyer was a run first coach. But Meyer still hadn’t fully implemented his Spread Option Offense. It was still in it’s infancy. Meyer’s spread attack still wasn’t complete and it was still more of a West Coast Offense than what he had implemented later at Florida. The Utah version of his offense would spread out three wide receivers and put Alex Smith in the shotgun formation. Then, he would introduce motion in the backfield and that turns it into an option attack, adding elements of the traditional run-oriented option offense. Urban believed in running first, second, and third. Any time the defense gives you the run, you run. You only pass if you have to pass. This worked tremendously for him. But he wasn’t done developing and tweaking his system yet. In 2004, Meyer led the undefeated Utes to a Bowl Championship Series bid, something that had not been done by a team from a non-automatically qualifying BCS conference since the formation of the BCS in 1998. He remained at Utah long enough to coach the team to a Fiesta Bowl win over Pittsburgh, capping off the Utes’ first perfect season (12–0) since 1930. In 2005, he’d go on to coach the Florida Gator’s and lead them to the Outback Bowl, where they’d beat Iowa. His quarterback was still Chris Leak. In 2006, he and Leak would go on to play Ohio State in the national championship game. The Gator’s were considered to be a less talented team, while Ohio State was loaded with NFL caliber talent at every position. The Buckeyes were ranked number one for nearly the entire year, while Florida was never ranked higher than fourth overall up until the last vote. Urban had his team prepared and ready, while Tressel underestimated the competition and let his players sit around for 51 days. Tressel’s team was dismantled 41-14 by the inferior Gator’s under Chris Leak. If you want a closer look at how Urban Meyer prepared his team for this game, look to his book Urban’s Way for details. He spent every day leading up to the bowl game posting articles, newspaper clippings, quotes, and analysis telling his Gators how inferior they are and how Ohio State was going to demolish this underwhelming team with a gimmicky offense and undersized players. He built them up into a rage and fury. They were ready to eat Ohio State alive. And they did just that. Urban knew how to prepare his teams and coach them up correctly. What is the spread option offense? Urban Meyer developed a unique version of the spread offense that has become known as the spread option offense. His aim is to get the ball to the play makers. You have to have superior athletes and get them the ball constantly and consistently. His read option offense is not complicated and aims to pit a full 11 offensive players against 11 defensive players. You have to have a running quarterback in order to implement this fully. His spread option offense is similar to Rich Rodriguez’s offense, in that it is a run-first offense. You only throw if the reads are there and the defense is giving you the pass. This isn’t a pass happy offense or pass-first offense. You only pass if they give it to you. 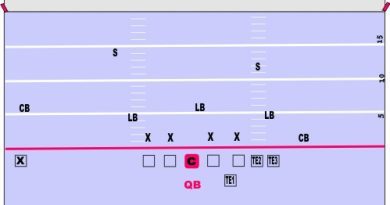 Read our Spread Option Offense article for more details. Everywhere Urban went, he took his offense with him. And every stop along the way, he was able to dominate. Whether it was the Mid-American Conference, the Mountain West or the South East Conference, Urban’s teams always won. Even with inferior talent, he won. Bowling Green had far inferior talent than the other MAC schools, but won anyways. At Utah, the Utes were not the most talented, but won anyways. When he first arrived at Florida, he didn’t have the best talent in the SEC, but won anyways. Urban says in his book, Urban’s Way, that it’s easy to win when you have superior talent and that anyone can win with any offense if you have better athletes. But what if you don’t? You have to be able to adapt to your players and put them in position to succeed. That is Urban’s way. Recruit well, play good defense, and use your athletes to their best ability. He will bring this kind of superior coaching and recruiting to Ohio State. He has been given a blank slate and unlimited funding to hire the best coaching staff. Money will not be a limiting factor. Ohio State’s board of trustees are embarrassed at how Tressel tarnished the Ohio State Brand and want to bring it back up to the top. He will have complete impunity in how he manages his recruiting, who he hires as staff, and how he chooses to run his team. Urban Meyer is going to bring top flight position coaches, retain the top ranked defense, and bring a great coaching philosophy, creativity, and leadership to the offensive side of the ball. Urban spent five years beating up on the SEC, one can only imagine what he will do to the big ten. Everywhere he has been, Urban has been able to adapt to the conference, his players, the alumni, and the city. Urban grew up in Ohio and spent time at Ohio State as a graduate assistant previously. He knows the culture and the tradition. It’s been his childhood dream to coach at Ohio State, and now he will. The big ten is still in shambles and mired in mediocrity. It’s been that way for years. Michigan is always rebuilding, Penn State is recovering from a systemic and institution wide child molestation scandal, and the rest of the big ten is never really competitive. The only teams Urban will have to worry about are Wisconsin and Michigan State. 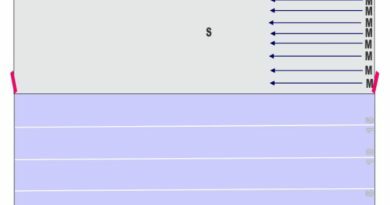 The Midwest is usually unwilling to pay top dollar for their coaches, hence the top college coaches go to coach in the SEC. But with Urban Meyer receiving top dollar and given complete impunity with regards to his coaching staff, the Ohio State football program will dominate quickly. Ohio State still has a top 5 recruiting class, Meyer has already gotten many top recruits to switch to Ohio State, and Meyer is being called and contacted constantly by other top recruits wanting to play for him. Ohio State still has the Big Ten’s top players and should return to their spot as the top dog in the big ten quickly. What about Urban Meyer’s Health? Urban Meyer suffered from severe esophageal spasms. Those spasms can mimic chest pain. It took a while for doctors to figure it out. But the problem has resolved and there are no health concerns. Yes, a stressful job and anxiety can make esophageal spams and heart burn worse, but he has been treated and should be alright. He has taken a year off from coaching, got his family life under control, and should be ready to coach again. The Future of Ohio State? Ohio State fans have a lot to look forward to. Urban has always been visionary, forward looking, always growing and learning, and always had superior game plans and coaching. Coming from the SEC, which pays top dollar (per capita) for coaches, to the Big Ten, which doesn’t pay much at all (per capita), he should dominate the big ten for many years to come. Ohio State fans will see an offense which is creative, electric, fast paced, and will run up the score on opponents. Ohio State will never lose to Kent State, Youngstown, Ohio University, or Toledo. Ohio State’s players will be over prepared to win big bowl games and never lose sight of the prize. Ohio State’s players will be focused and disciplined. Ohio State will dominate on defense. Ohio State will play well on special teams. Ohio State will not be known for scandals and cheating. Ohio State will adjust properly at half time and in-game. Ohio State will dominate the big ten for many years to come.